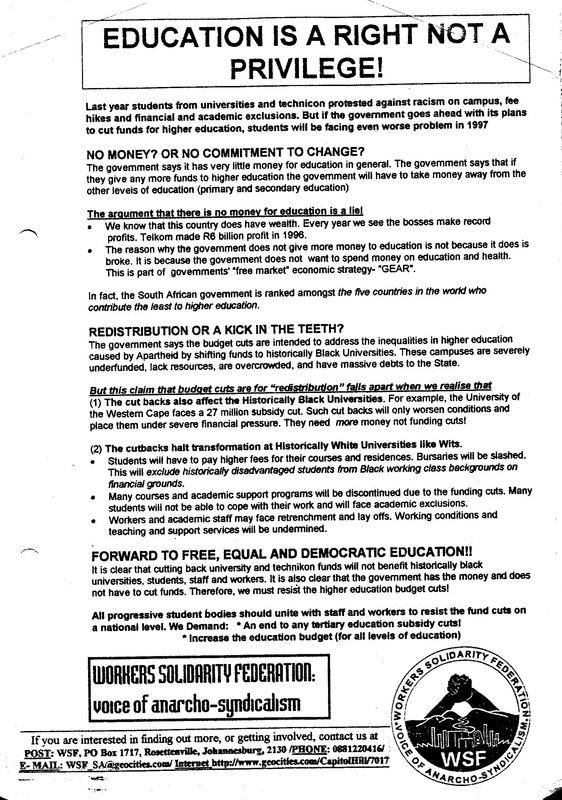 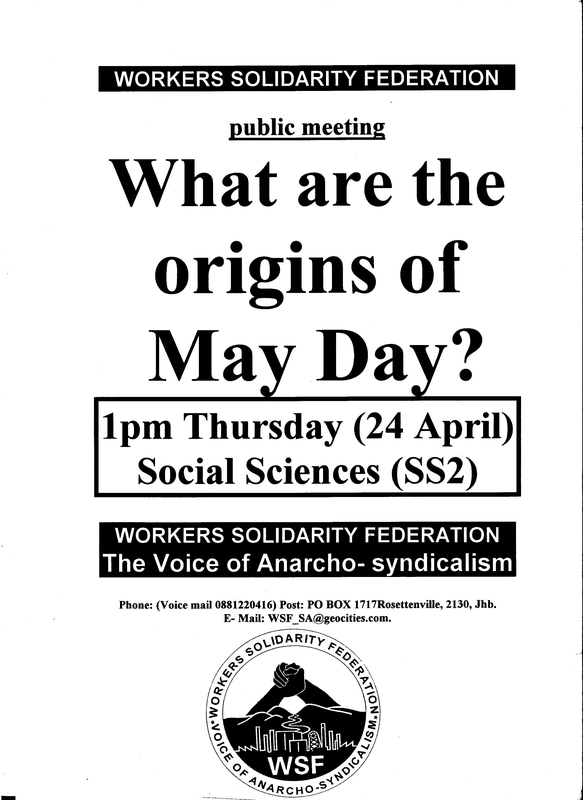 Talk was at the University of the Witwatersrand, Johannesburg, where the Workers Solidarity Federation (WSF) was active. 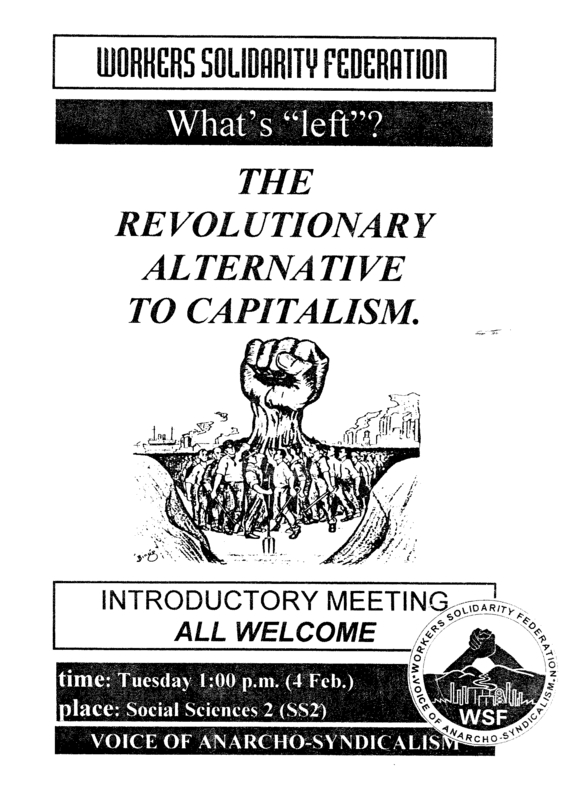 This was a public meeting for new members / supporters and for other interested people. 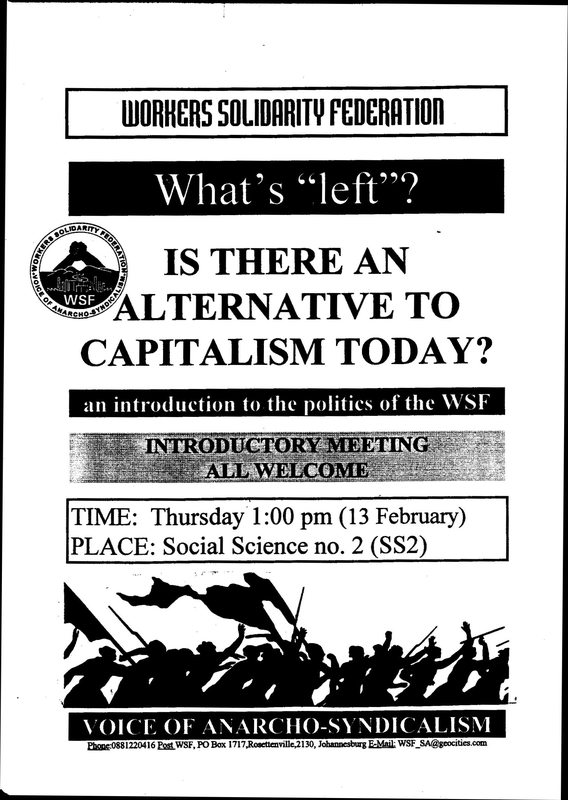 WSF was the direct predecessor of today’s Zabalaza Anarchist Communist Front (ZACF).